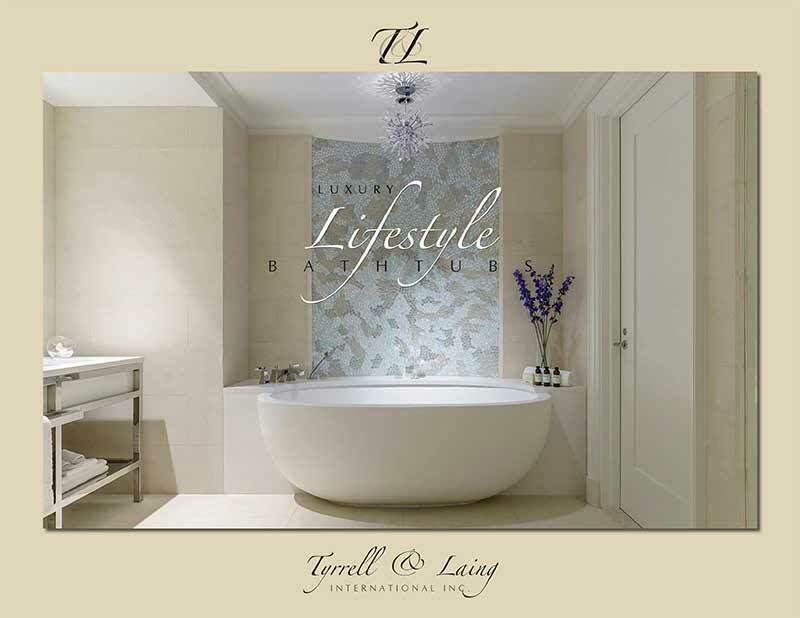 Our freestanding bathtubs are made of a crushed limestone with a polyester resin and a gel coat surface manufactured in a state-of-the-art plant in the USA and then finished by hand to create a beautifully smooth and lustrous finish – truly refined luxury. Our freestanding jetted bathtubs and air spas use warm air, which is blown through a series of mini-jets positioned flush and discreetly on the base of the bath creating a soft cascade of bubbles for a gentle massaging flow throughout the bath. The air travels upwards across the full length and width of the body, creating a massaging effect for the muscles to soothe and relax. Our Imperia, Oceanus, Adoni, Rosebud, Eco, Slipper and the Rhondamay large round tub are available as a standard bathtub or jetted bathtub. 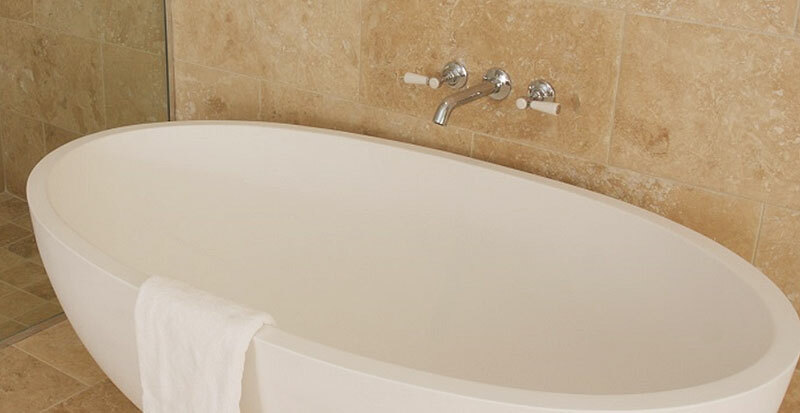 Our freestanding bathtubs have the appearance of natural stone but are lighter, so they can be safely installed in the average home. 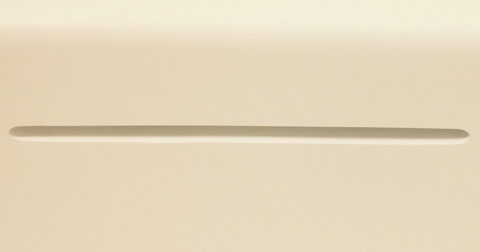 The composite stone material is hard-wearing, stain resistant and easy to keep clean. Our freestanding tubs are comfortable, warm to the touch and non-slip - they offer a sensual bathing experience. 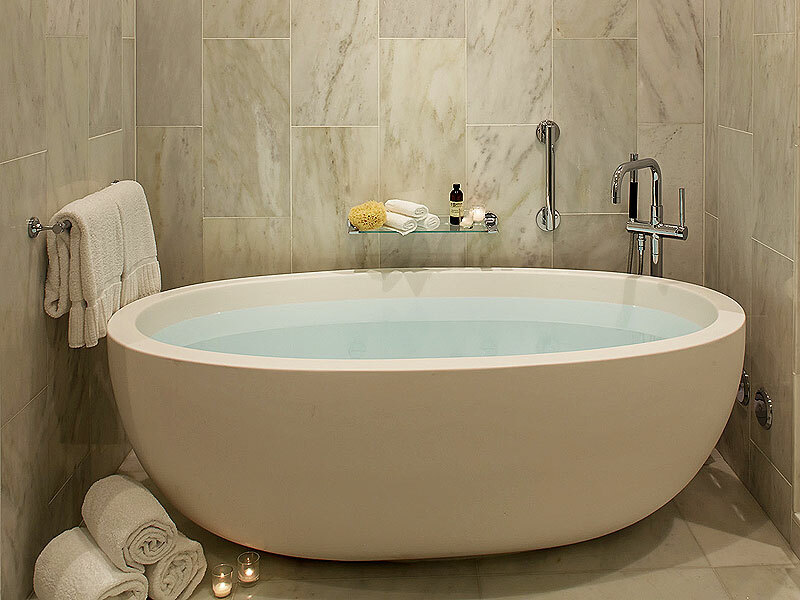 Eco-friendly insulation properties help maintain the temperature of the water in our bathtubs. 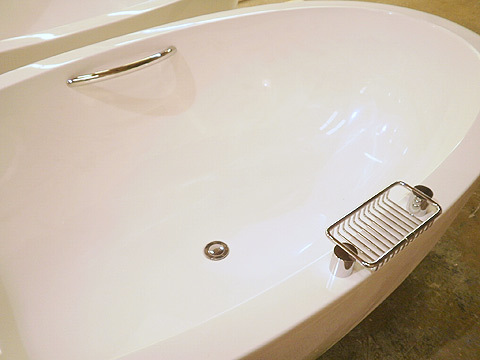 We offer a chrome soap dish and grab bar as an option for our tubs with the wider rim. Please call for details.